Aaron Jackendoff/SOPA Images/LightRocket via Getty ImagesMourners seen holding candles. At least 11 people have died after a gunman opened fire at a Pittsburgh synagogue during prayer services on Saturday morning. Authorities have identified the suspect as 46-year-old Robert Bowers in the shooting, which took place at the Tree of Life Synagogue. Family members have been notified of the deaths, Allegheny County medical examiner Dr. Karl Williams said Sunday. Here’s what we know so far about the victims of the attack. The Allegheny County chief medical examiner confirmed Sunday morning that 11 people were dead. They were between the ages of 54 and 97. Fienberg was a resident of the Oakland neighbourhood in Pittsburgh. She was the wife of Stephen E. Fienberg, a professor of statistics and social science at Carnegie Mellon University, who died in 2016 at the age of 74. Fienberg worked as a research assistant at Gaea Leinhardt’s research center at the University of Pittsburgh. “She never forgot anyone’s birthday. She was always available for whatever one might need,” Leinhardt told the Washington Post. Gottfried was a resident of Ross Township and a member of the New Light congregation that gathered at the synagogue. A dentist, he was married to Peg Durachko, with whom he shared a dental practice. The couple had just celebrated their 38th wedding anniversary, the Washington Post reports. Mallinger was a resident of Squirrel Hill and a regular synagogue-goer, according to Chuck Diamond, a former rabbi at Tree of Life. She was attending services with her daughter, who was shot in the arm, according to the Washington Post. Rabinowitz was a resident of Edgewood Borough, Pennsylvania.Pittsburgh Tribune-Review writer Ben Schmitt said Sunday that Rabinowitz practiced family medicine in Pittsburgh’s Bloomfield neighbourhood. “Kind and funny, Dr. Rabinowitz completely personified the term ‘bedside manner,'” Schmitt wrote. Rabinowitz’s colleagues at the University of Pittsburgh Medical Center remembered him for his devotion to his work and faith. “Jerry was above all one of the kindest physicians and human beings in our community,” Tami Minnier, UPMC’s chief quality officer said in a statement. Cecil and David were residents of Squirel Hill. The two lived in in a home managed by ACHIEVA, an organisation that supports people with disabilities. “Cecil’s laugh was infectious. David was so kind and had such a gentle spirit. Together, they looked out for one another. They were inseparable. Most of all, they were kind, good people with a strong faith and respect for everyone around,” Chris Schopf, vice president of residential supports at ACHIEVA said in a statement Sunday. David DeFelice, who was paired with Cecil as part of the Best Buddies program, told the Pittsburgh Post-Gazette that he was kind-hearted and caring. The two formed a bond after Cecil learned DeFelice was also Jewish. Bernice and Sylvan were married at the Tree of Life synagogue in December 1956. The couple were residents of Wilkinsburg, Pennsylvania. They are remembered as caring fixtures of their community – baking bread for neighbours who shoveled their driveway in the winter, who loved their neighbours pets. “They held hands and they always smiled and he would open the door for her, all those things that you want from another person,” Heather Abraham, neighbour to the couple told the Pittsburgh Tribune-Review. Daniel Stein, 71, was a resident of the Squirrel Hill neighbourhood of Pittsburgh. He was retired and regularly attended services at the synagogue. 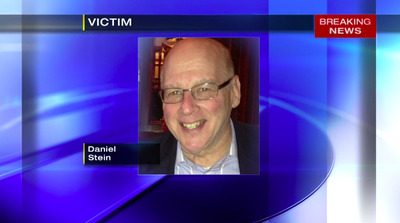 Stein left behind a wife, two children, and a grandchild, according to local news station WPXI. Wax, a retired accountant who lived in Squirrel City, was a member of the New Light Congregation, which rented space from the Tree of Life Congregation, the Associated Press reports. Myron Snider, a friend of Wax, remembered him as a constant presence in the congregation who was available to step in whenever needed. “If somebody didn’t come that was supposed to lead services, he could lead the services and do everything. He knew how to do everything at the synagogue. He was really a very learned person,” Snider told the AP. Younger was a resident of Pittsburgh’s Mount Washington neighbourhood. A neighbour told the Post-Gazette that Younger was a father and grandfather. Another six people were injured, including four police officers. Among them was Daniel Leger, 70, a chaplain at the University of Pittsburgh Medical Center. He was scheduled to lead a service Saturday at the synagogue. He suffered a gunshot wound to the torso, the Pittsburgh Post-Gazette reported. As of Sunday morning, Leger was in critical condition. The Post-Gazette reports that as of Sunday morning, a 61-year-old woman is in stable condition, two officers are in stable condition, and a third is in critical condition. The fourth has already been released.